gEnergy brings building simulation to the cloud, enabling architects, engineers and building owners to design and operate energy- and resource- efficient 21st century buildings. This guide assumes you already have existing EnergyPlus knowledge and is designed to get you familiar with the basics of gEnergy to allow you to start simulating your own buildings	and projects as soon as possible. 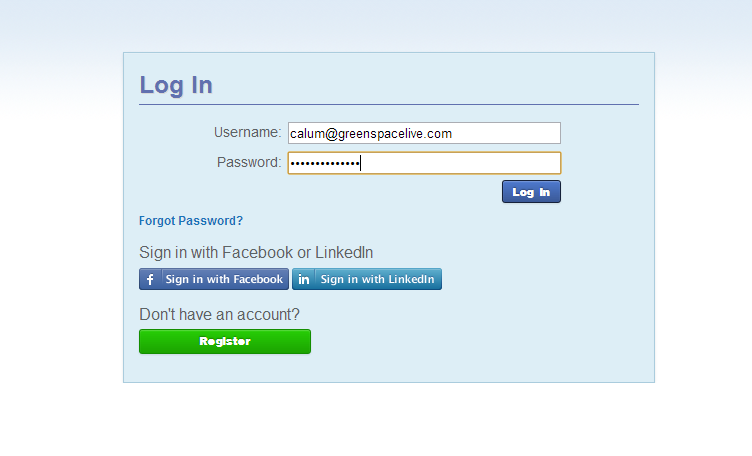 Visit gEnergy and log in using your greenspaceLive account details. To access the web interface of gEnergy, simply visit greenspacelive.com, register/log in and then navigate to gEnergy. This will start gEnergy. Click “Import IDF” from the options at the top of the gEnergy screen. Select “Bessemer Grange School” from the dropdown menu. 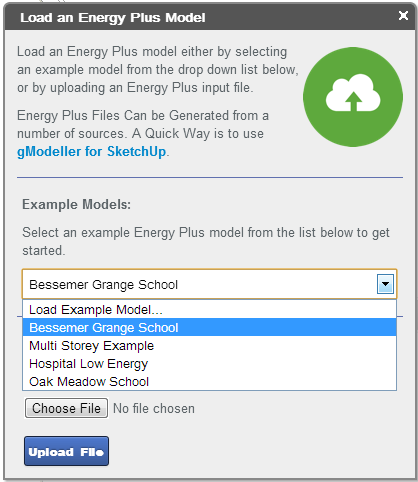 You can also choose your own IDF files to upload to gEnergy from here. Don’t worry about file versions, gEnergy will automatically make your IDF compatible with the latest version of EnergyPlus that is required. Once you’ve chosen your file, click Upload File. At this point, you can make any changes you wish to make to the model, if desired. 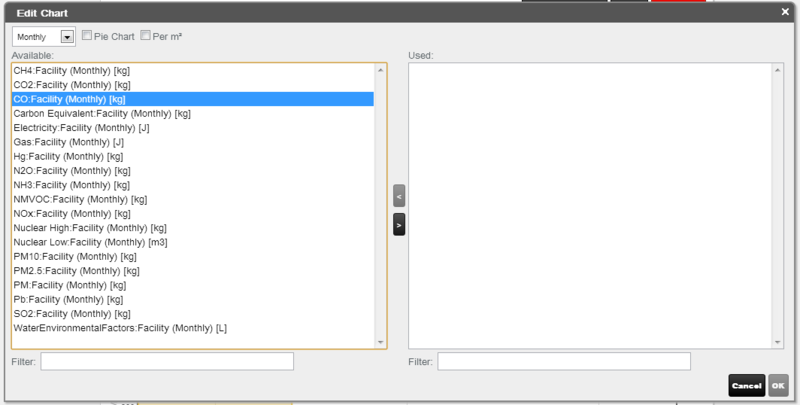 To do this, click a “Group” on the left, this will open the group’s objects in the Object window. To edit an Object’s properties, simply left click the object in the Object list and edit it in the EnergyPlus Object Form located at the bottom right. 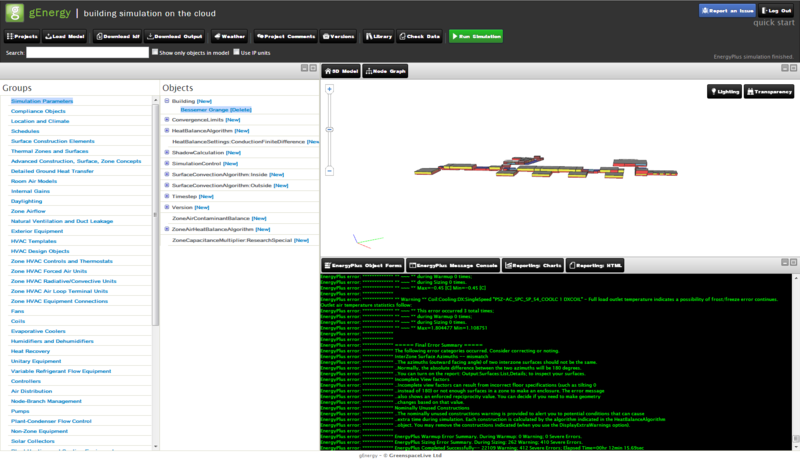 The message console will appear and start running the gEnergy simulation. 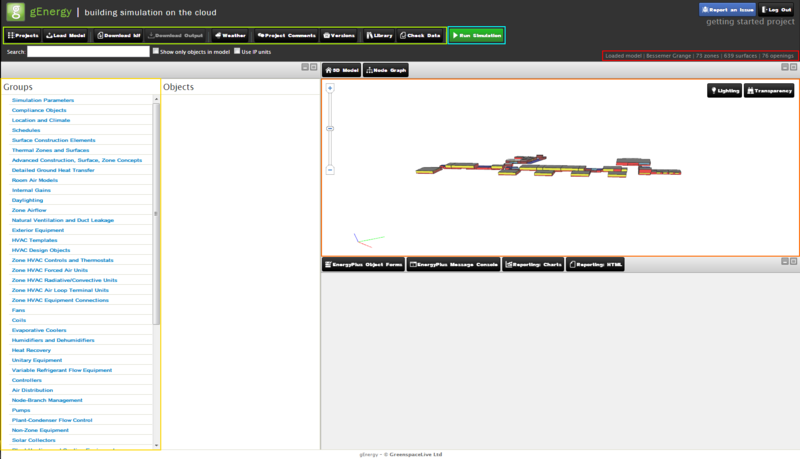 You can view your simulations progress in this window. Here are some default charts displayed. You can add your own charts from the results by pressing “Add Chart” and then selecting your parameters from the list and moving them to the right. You can export any of your charts as a CSV file for Microsoft Excel by pressing “Download CSV”. You can also view your data as an HTML web file, detailing information from your simulation. You can view this by pressing “Reporting: HTML”. You now know the basics of gEnergy! Why not add your own IDF and try it for yourself on your own project? Please don’t hesitate to contact us if you require any more information or help regarding gEnergy or any of our other products.